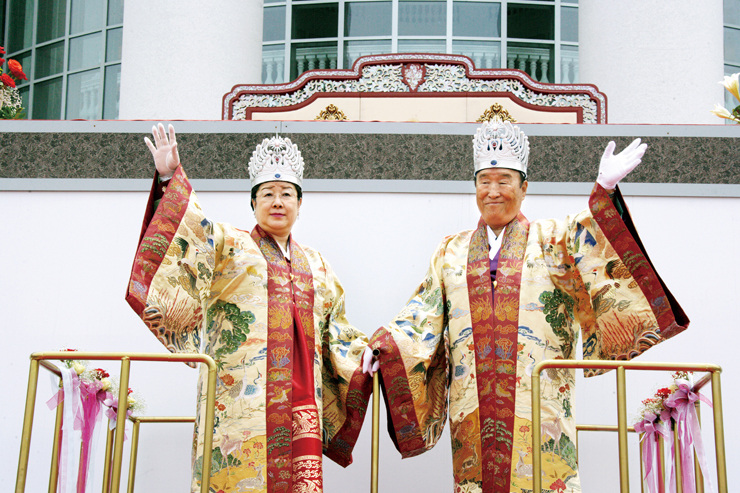 During True Parents' prayer on June 13, 2006 at the Cheon Jeong Gung Palace Entrance Ceremony and Coronation of True Parents as the King and Queen of Peace in Heaven and Earth held at Cheon Jeong Gung, they designated the palace site as the point of settlement enabling Heaven's love and life to bond together and the eternal lineage of the Parents of Heaven and Earth to take root on the earth. 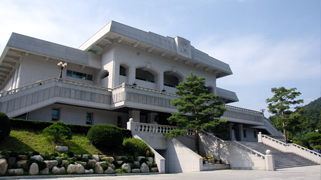 During the commemoration of their entrance into Cheon Jeong Gung Palace on June 16, True Father wrote in calligraphy, "Cheon Il Guk Emperor of Truth, Holiness and Virtue, Enthroned Sovereign of Absolute Victory over All People, Holy Reign of Peace and Prosperity in Everything." 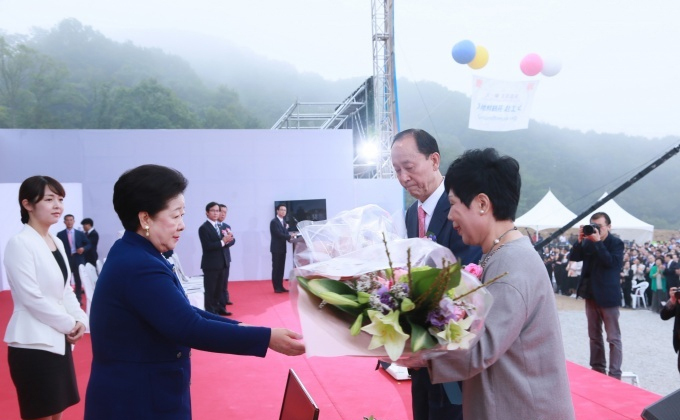 “Today, we gather at the groundbreaking of the Cheonji Sunhak Won in beautiful Cheongpyeong, where we can show Your dreams and hopes to humanity. Two thousand years ago, You sent Your only begotten son, the Messiah, to fallen humankind after a long Providential period of four thousand years. However, Judaism and the nation of Israel did not take responsibility. The reason why our Heavenly Parent sent the only begotten son was to fulfill His dream that His son would take the place of True Parents in front of humankind. Despite Heavenly Parent’s efforts, and the suffering He experienced in sending His only begotten son, the 2,000 year history of Christianity started out centered around the people who crucified the only begotten son, and the disciples of Jesus. It has been passed down to the present without people knowing the true nature of Jesus or the providence of Heaven. 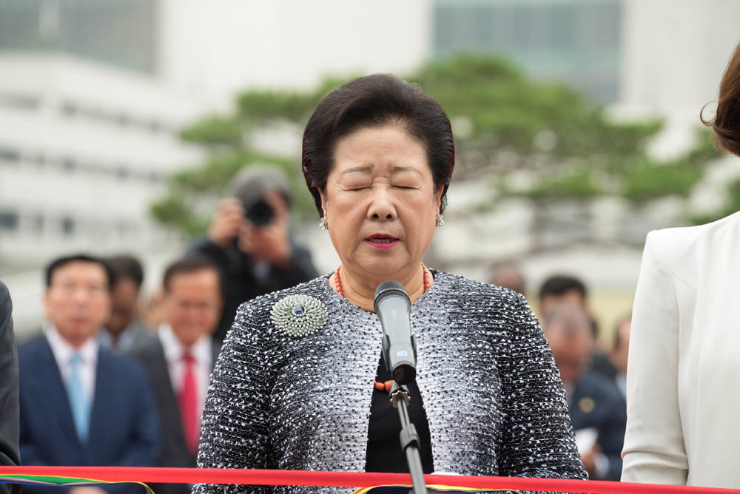 Throughout 6,000 years of Your repeated efforts and love, You built the Korean nation and gave birth here to Your only begotten daughter, so that humankind’s True Parents would manifest and new providential history would begin. You have opened the pathway for all people around the world to go forward as children of the Heavenly Parent. How miraculous is this? I am however truly sorry that the world is still unaware of this amazing fact. 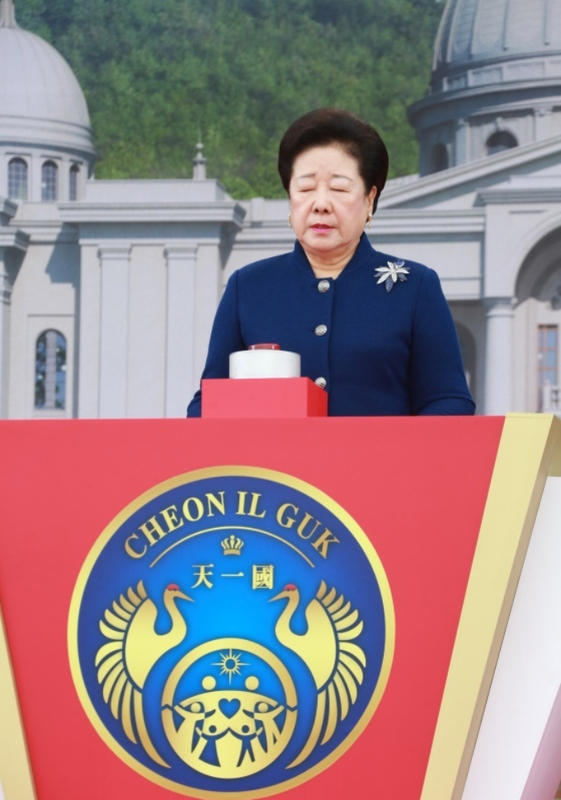 Therefore, in the name of True Parents we will quickly build Cheonji Sunhak Won, for the sake of the members and future generations of the Unificationist family, the citizens of Cheon Il Guk. 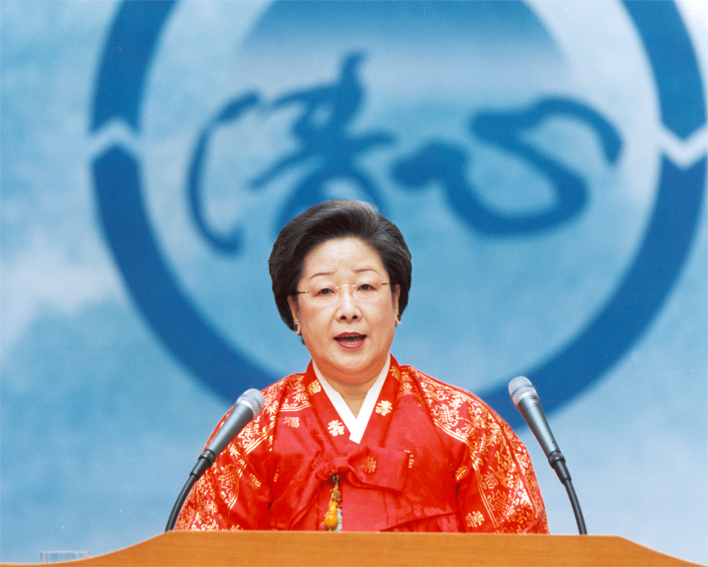 Cheonji Sunhak Won will show them, in a stimulating way, True Parents’ love and True Parents’ providential work. Loving Heavenly Parent, thank you. I am so grateful and thankful to You for Your hard work. You did not forsake such ignorant people, but instead have continued to lead them. With regards to the tremendously hard work You have invested, we are so sorry and yet so grateful. 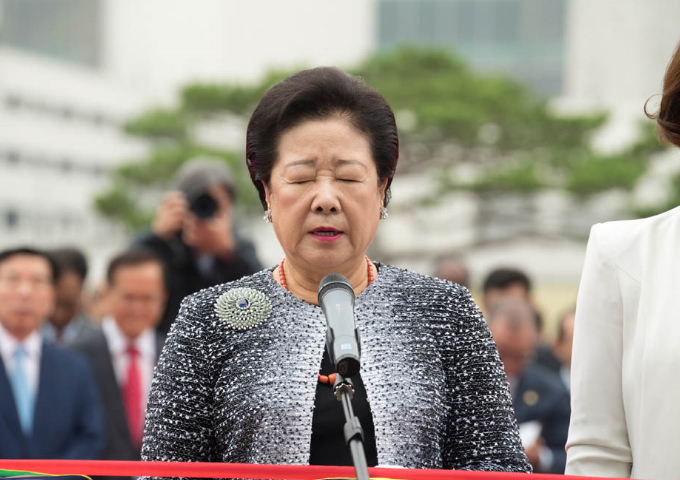 Heavenly Parent, now, through True Parents who are fulfilling Your original dream, a foundation for the settlement of Cheon Il Guk has been laid. 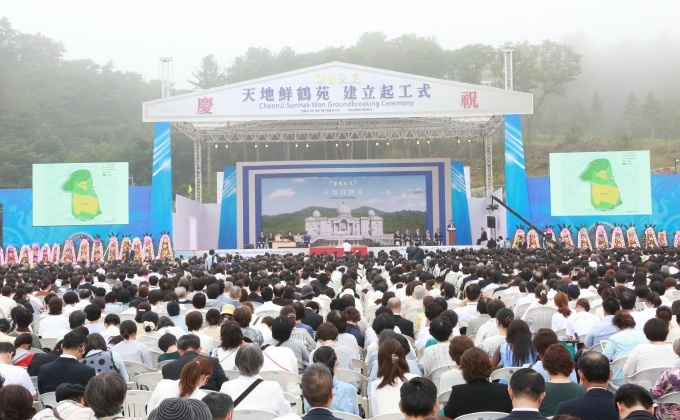 Through constructing this facility, we will now advance toward the day when this people will be awakened, and all the people of the world will be able to return thanks and glory to Heaven with a shimjeong (heart) of hyojeong. 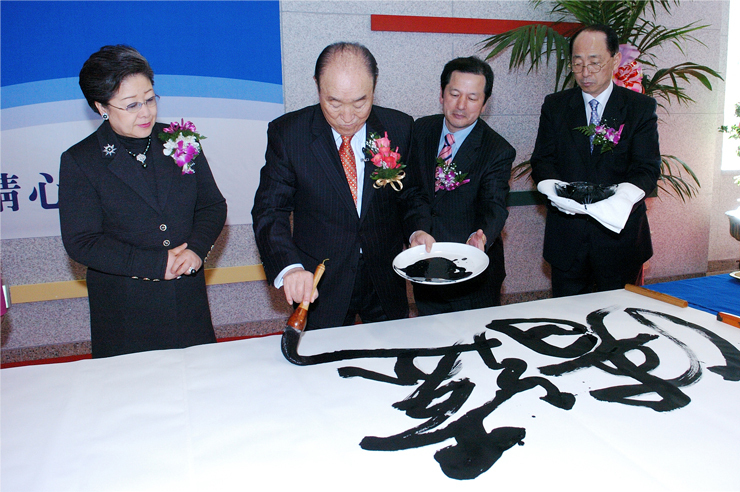 The dedication ceremony for the CheongShim International Academy was held on February 24, 2006. 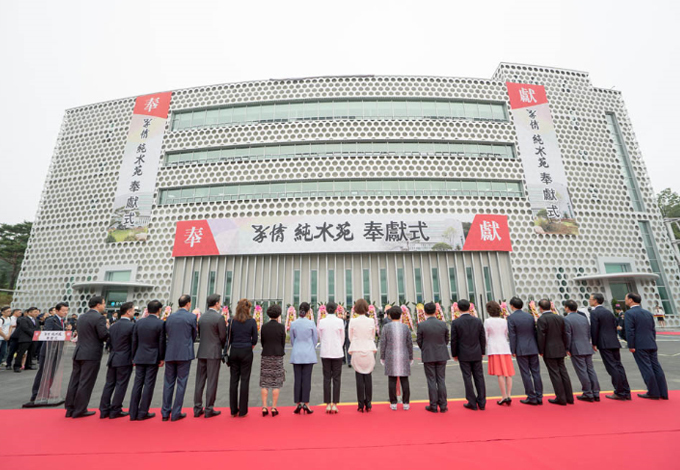 At this ceremony, True Parents expressed their wish for the Academy, True Parents bestowed the calligraphic writing, "Everlasting Blessed Land of Pristine Depth, Pristine Emotion, and Pristine Harmony," and took part in planting commemorative trees to mark the occasion. 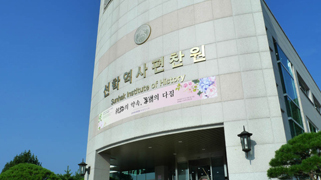 On 7.19 of the heavenly calendar in the 5th year of Cheon Il Guk (Sept. 9, 2017 of the solar calendar), the dedication ceremony of HJ Sunsuwon was held with True Parents at the HJ Sunsuwon and HyoJeong Academy. 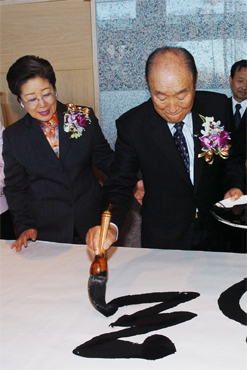 On this day, International President Sun Jin Moon and her husband, Chairperson of the HyoJeong World Peace Foundation, Yeon Ah Moon, General Director of the Universal Ballet, Hoon-sook Moon, International Vice President of FFWPU, Ki Hoon Kim, President of FFWPU-Korea, Kyeung-seuk Ryu, Chairman of the FFWPU-Japan, Song-yong Cheon, Chairman of Tongil Group Foundation, Seong-gyun Lee, HyoJeong Global Unification Foundation and Seok-byeong Kim attended this ceremony. 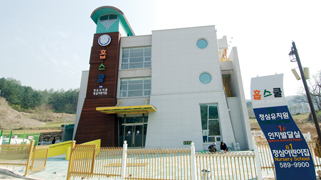 Soon afterwards, they moved to the Hyojeong Academy. 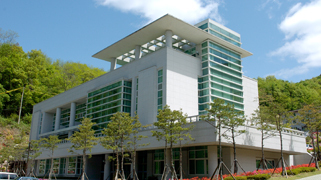 The dedication ceremony of the HyoJeong Academic Garden was held in the following order: Floral Tribute by President of HyoJeong Academy, Sung-bae Jin and Sanctification. 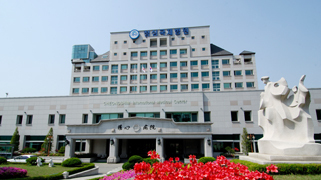 All the scattered providential organizations around Seoul will all be combined into this one building. 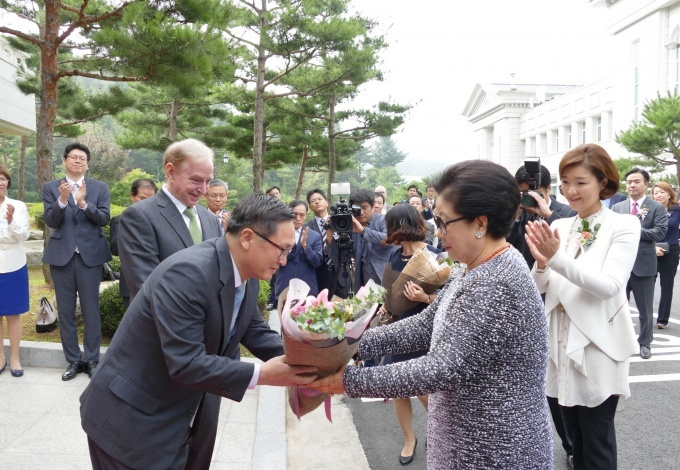 By early September, major providential organizations such as the HyoJeong World Peace Foundation, the Tongil Foundation, the Citizen’s Federation for Unification, the Korean World Peace Youth Students Union, and Korea’s Religions Association moved in. 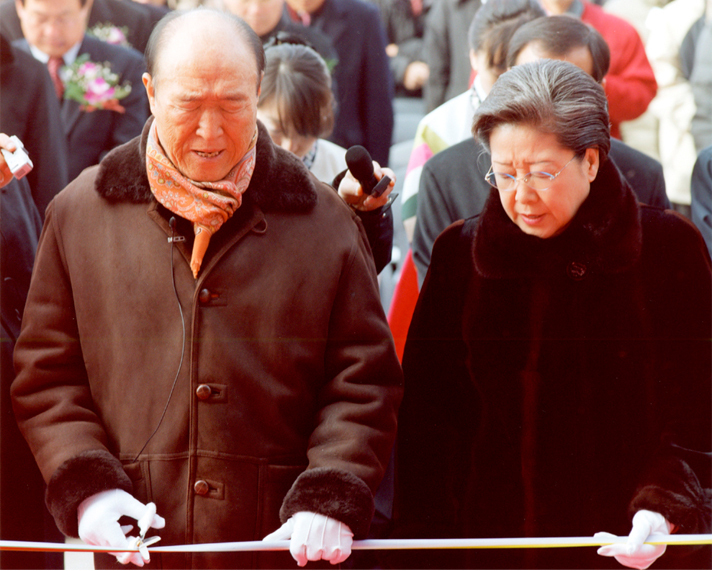 During the dedication ceremony for the CheongShim Graduate School of Theology on January 28, 2004, True Parents expressed their desire to "educate people through this institution so that they can understand heaven, earth and humankind in God’s new, ideal world that transcends religion and nation, recognize the owner that stands before heaven, and attend that owner as the ideal creator, the true parent and the true teacher for all generations." 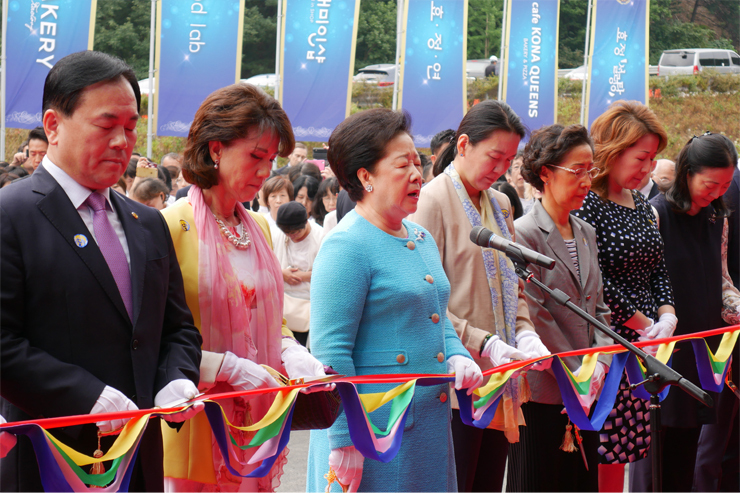 True Parents also prayed that "God's beloved descendants can grow, blossom and give off a fragrance to become a garden of hope that serves as the pillar of the cosmos here in the CheongShim area upon which the morning sunlight shines." 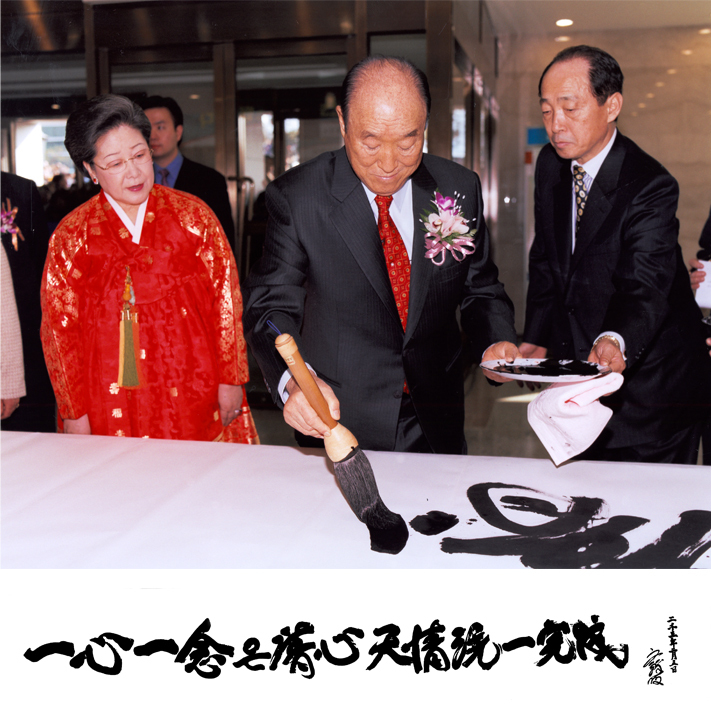 True Father wrote in calligraphy "Offering Virtue, Learning and Practice will Bring Many Blessings and Prosperity for Eternity." 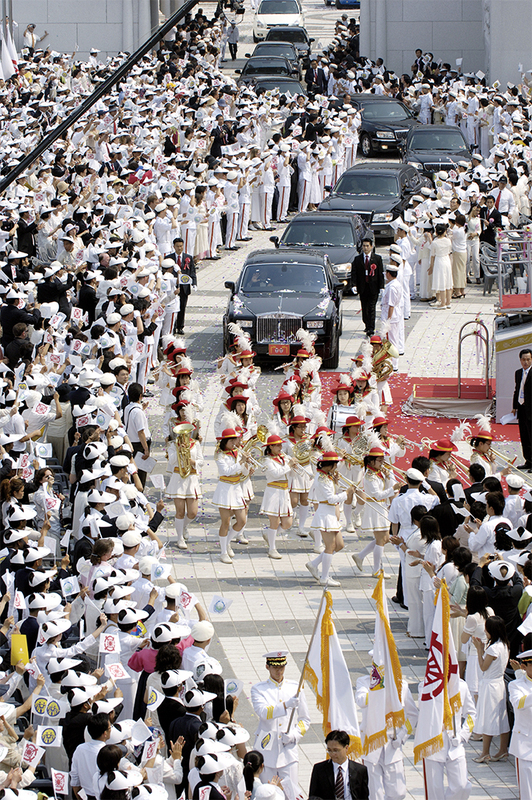 In March, 2004, the first entrance ceremony was held. 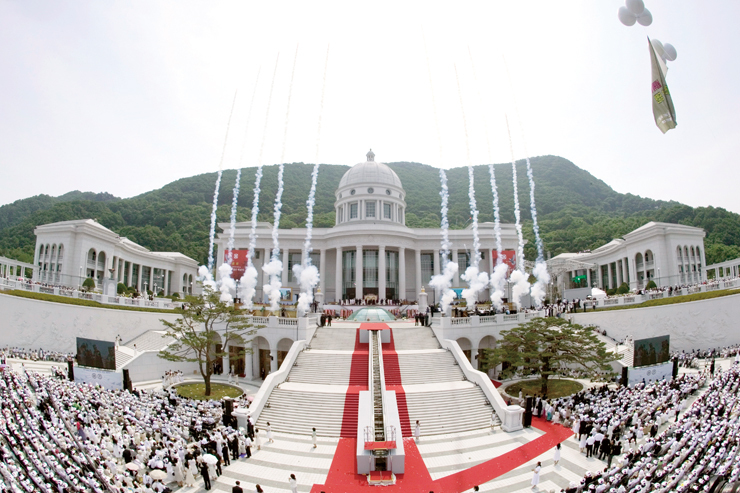 On September 2, 2012, while True Mother was touring the Yeosu and Ocean Cheon Jeong Gung (in Geomun-do), True Mother established the Universal Peace Academy, a training academy for leaders of the Unification movement. 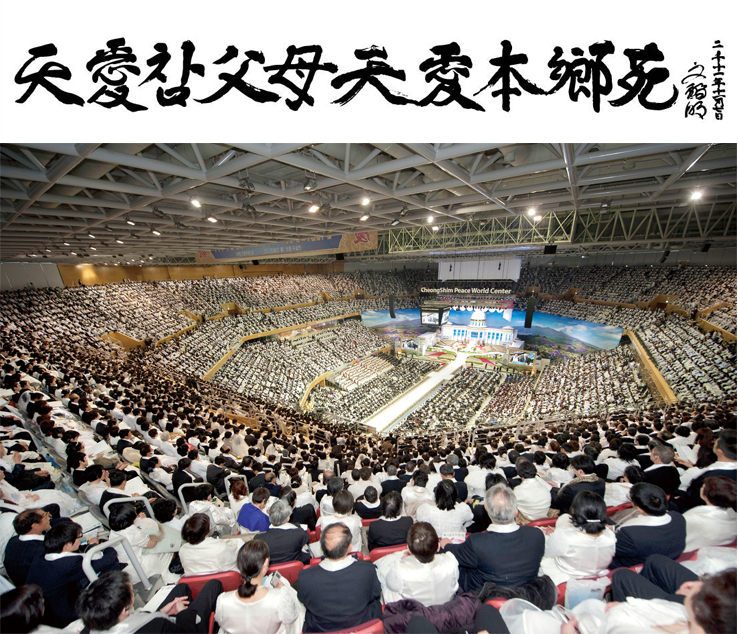 So for the first class of UPA students, 2nd generation from around the world were recruited. 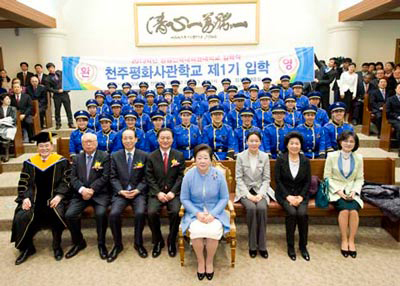 And on March 4, 2013, first entrance ceremony for UPA cadets was held at the SunHak Universal Peace Graduate University. 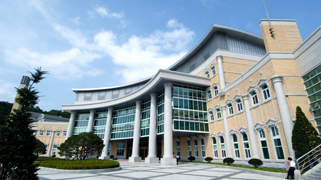 On September 1, 2016, the CheongShim Graduate School of Theology changed its name to SunHak Universal Peace Graduate University. 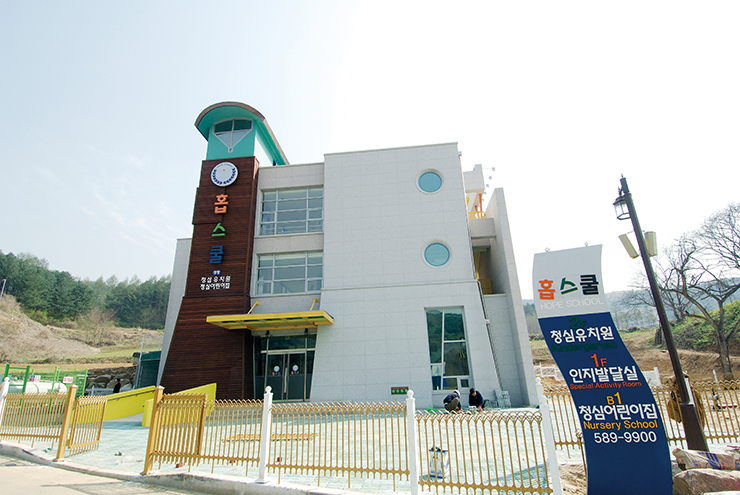 The CheonShim Kindergarten and Nursery School, which was opened on March 4, 2006, has 2 floors underground and 2 floors above ground. The Basement 1F and 2F are used for children 1 to 4 years old. 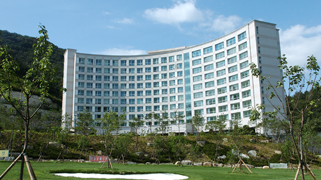 The 1st and 2nd floor are used for children 5 to 7 years old. 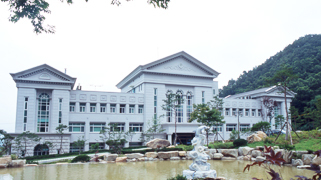 The building is built to accommodate about 220 children. 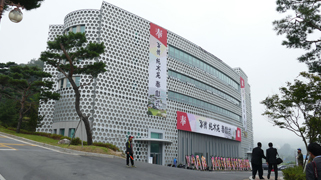 This facility places great importance in children’s safety and education. “Dear Heavenly Parent! 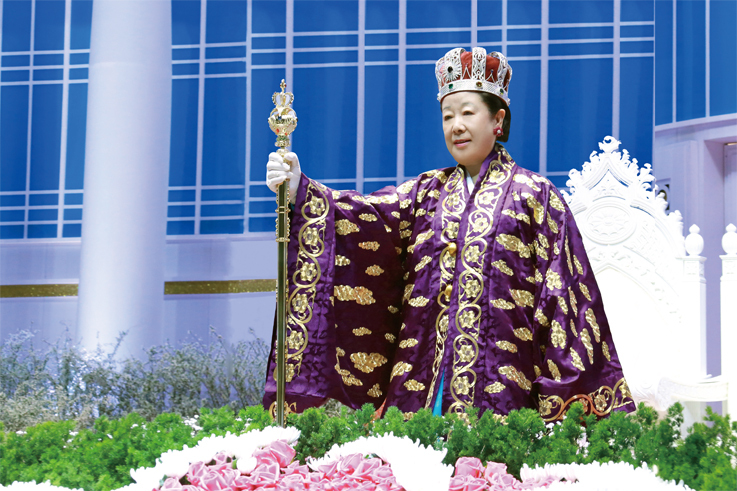 The wishes of the True Parents of Heaven, Earth and Humankind are to establish one peaceful family for all humankind. 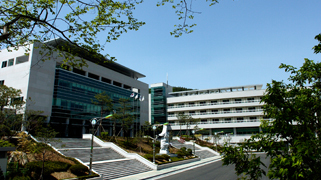 All of the providential institutes will be located in this place, HyoJeong Cheonwon, for the day when this country can proudly stand before the providence. 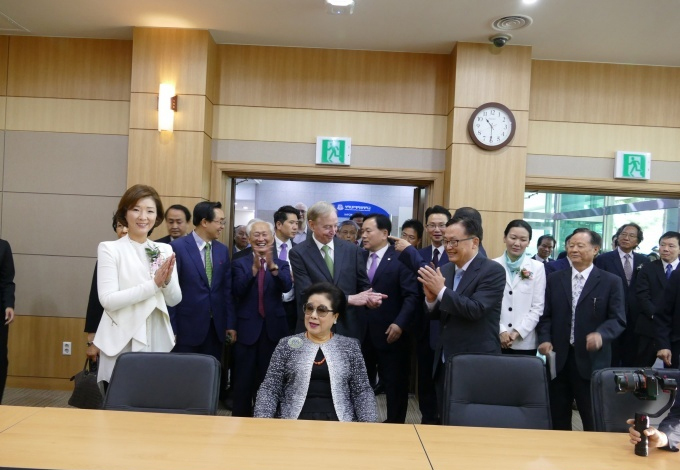 We dedicate HyoJeong Sunsu Won as a joint institute in the HyoJeong Cheonwon which assists us in realizing the providence and works hard every second of the day. 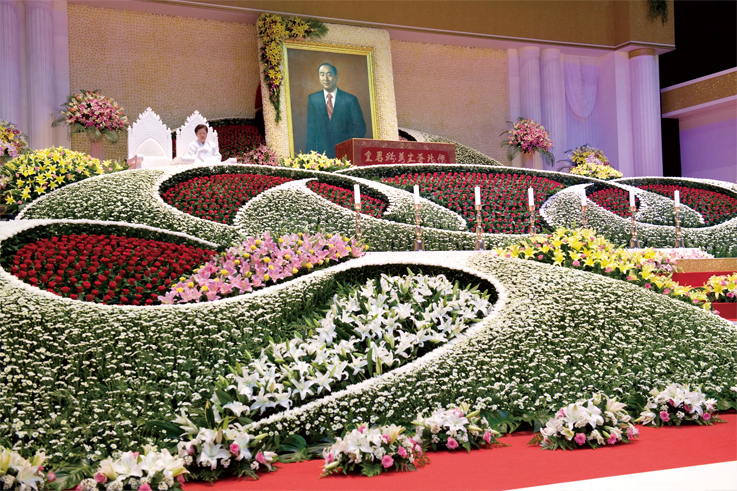 Please help us to accelerate our progress and work without rest until we can achieve the dreams and wishes of our Heavenly Parent, True Parents, and humankind. 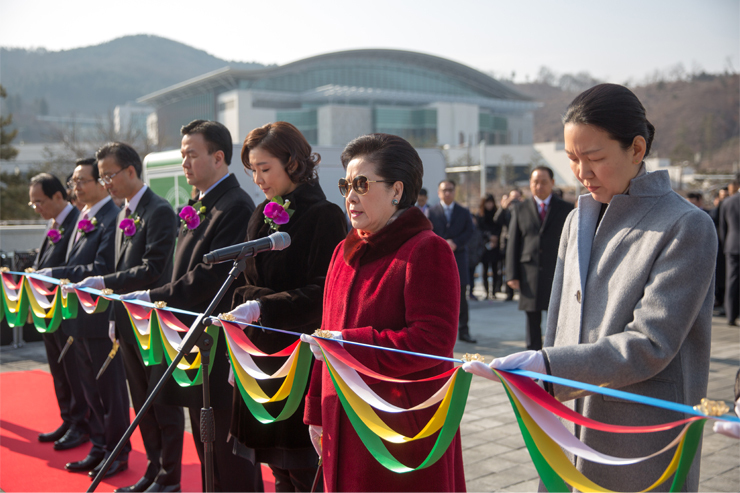 I sincerely appreciate that you allowed us to make this place one in which everyone working here can become one and go forward together. I pray in the name of True Parents. Aju!” . 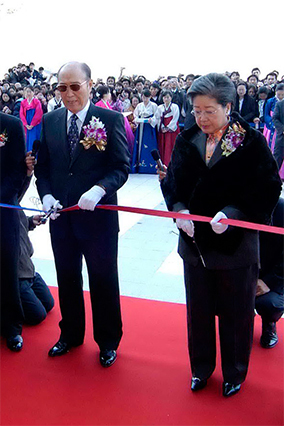 The dedication ceremony for the CheongShim International Youth Center was held on November 12, 2004 on the 45th True Children's Day. 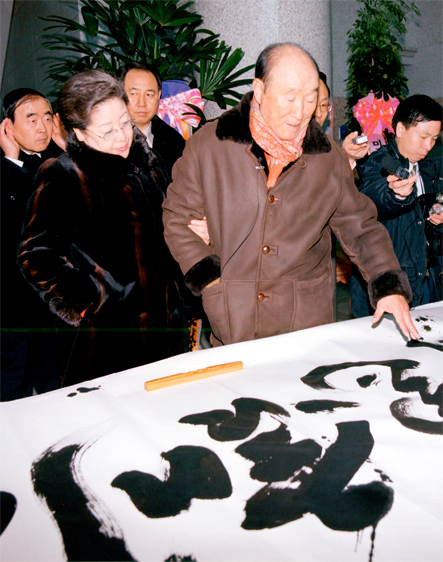 True Parents bestowed the calligraphic writing, "Revolutionary Upheaval in Heaven and Earth, Sweeping Change that Sends Tremors to Heaven Shall Achieve Total Harmony." 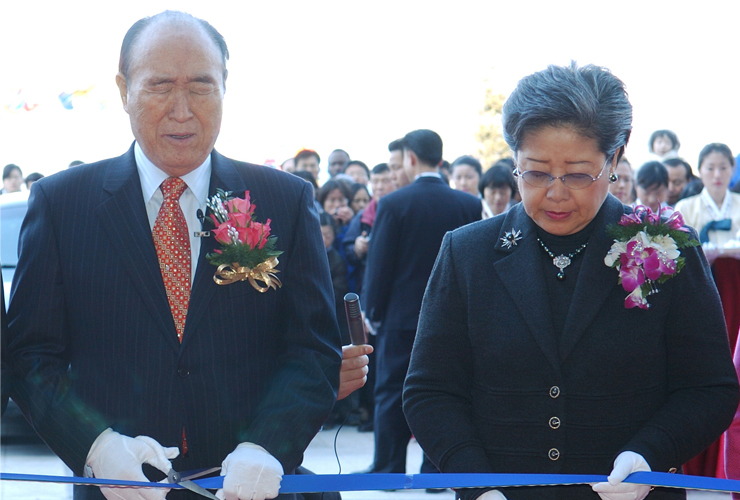 The CheongShim Peace World Center dedication ceremony was held on March 22, 2012. 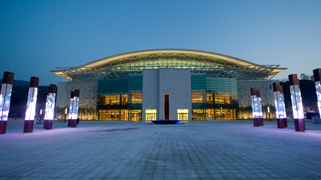 On this day, the True Parents gave congratulatory words for the CheongShim Peace World Center, saying, "We have set up a space where the whole human family can experience the glory of delight." 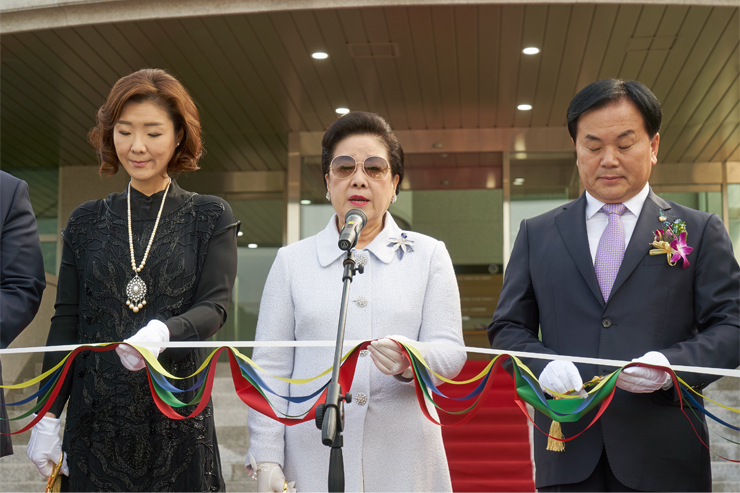 They also said that "We have established numerous organizations for religion, society, culture, education and media to realize world peace in this land" and emphasized that "the CheongShim Peace World Center has such a meaning." 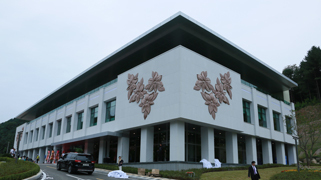 During the dedication ceremony for the CheongShim Peace World Center, True Parents unveiled the calligraphic writing, "True Parents of Heavenly Love and Original Homeland of Heavenly Love." 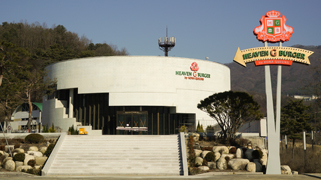 It means heavenly love is realized through True Parents and Cheongpyeong Holy Ground. “Dear Heavenly Parent! Today, I can feel the subtlety of Your creation as we dedicate the magnificent Magnolia Meotjib. The white and lily magnolia flowers let us know when spring arrives after the frigid winter season, which they have endured with such nobility and strength. 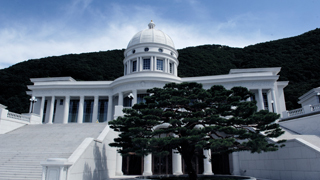 This building can express chastity and love for nature. We will feel joy and gratitude as if we have found an oasis in a difficult world (where we were in a desert, blinded by the sun, but had found shade and relief…). We will feel your love through this building. Heavenly Parent! What is the purpose of human life? It is all aimed at reaching You. However, the lives that are stuck in the secular world are self-centered. 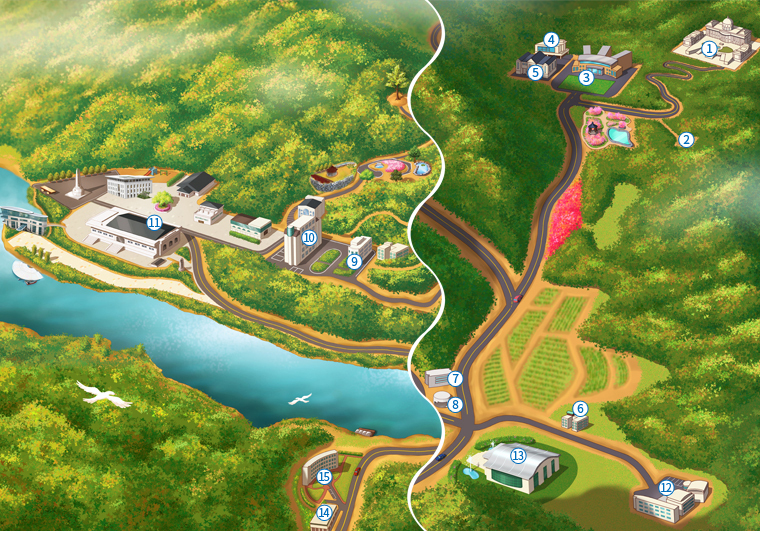 Magnolia Meotjib will be the starting point of the HyoJeong Cheonwon, and will be the place where we learn about True Parents’ true love and how to selflessly take care of others. 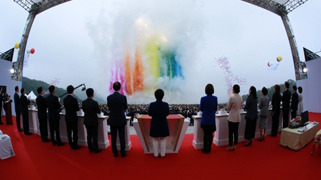 It will serve as a medium for true love, where we can seek hope for the future. 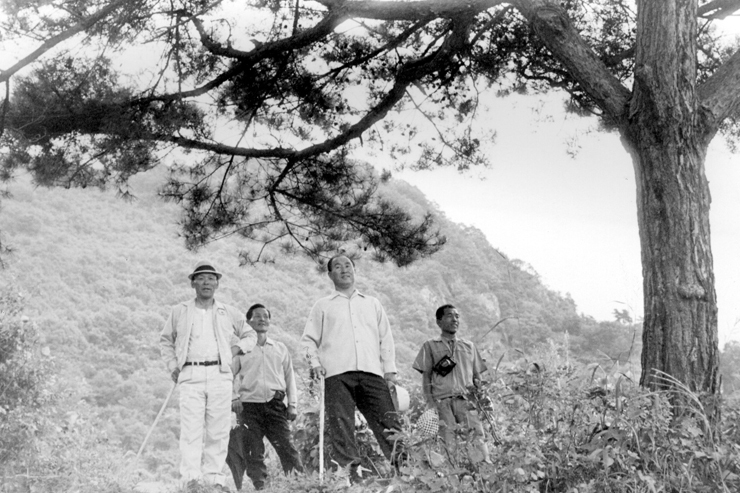 Please let every footstep of the people who visit here connect with true love and find the original shimjeong (heart) of their Heavenly Parent.